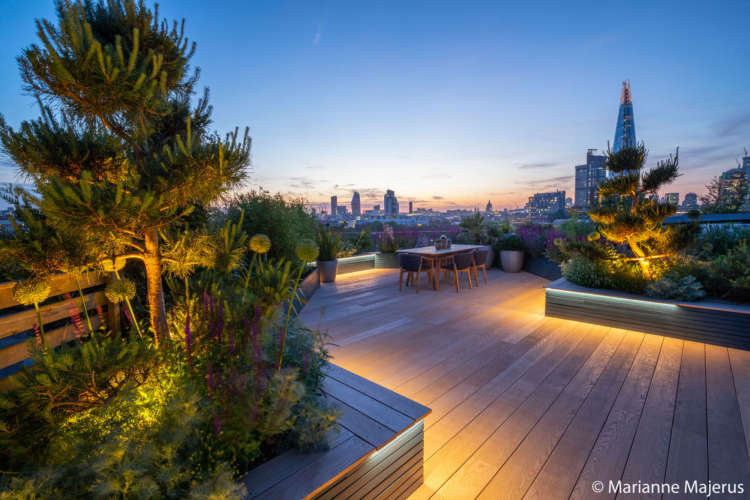 Garden Club London are roof garden specialists and can assist you with every aspect of creating a beautiful roof garden on a range of scales. Our design process will identify what can be achieved to meet your brief and take practical considerations into account such as weight and wind loading, aspect and light levels, access and of course aesthetics. 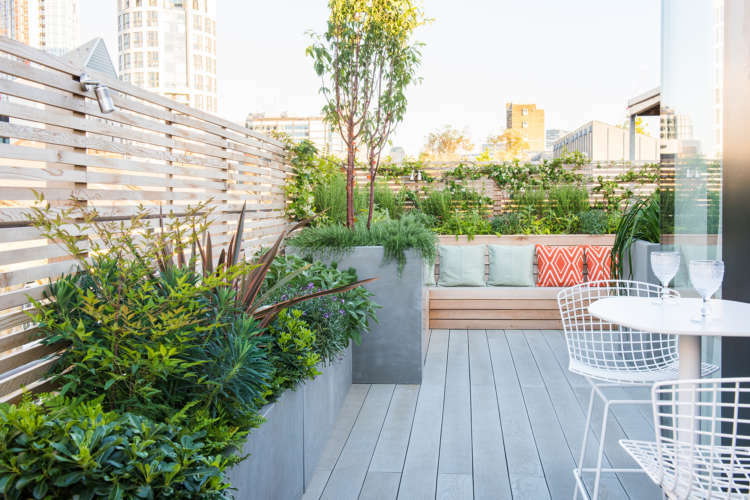 Our project experience ranges from vast commercial roof tops such as the John Lewis Oxford Street store roof garden to cosier terraces that provide a combination of secluded seating areas, lush planting and jaw dropping views. 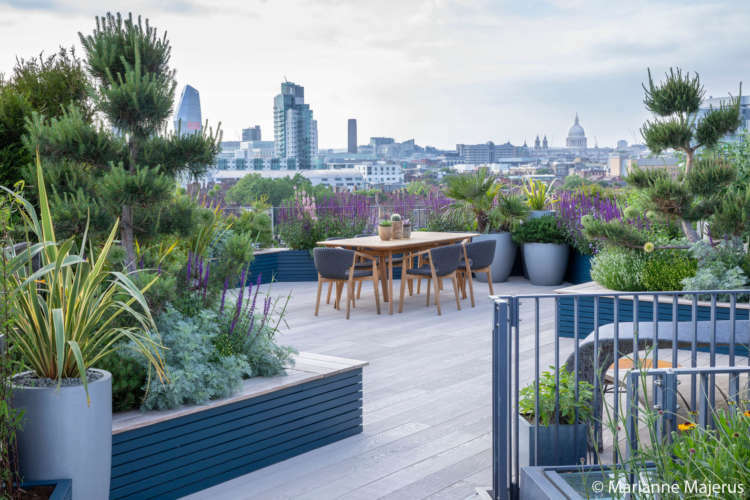 A roof garden is a significant investment however this delivers a return on investment in property value and lifestyle quality. 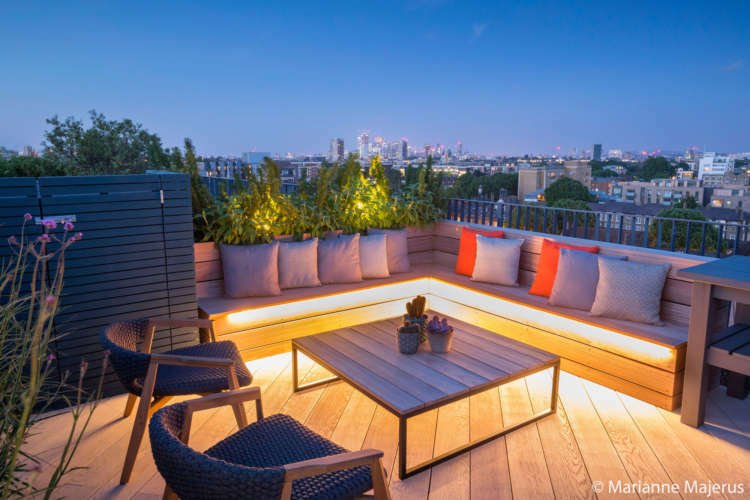 We will make your roof garden work for you for as many seasons as possible and ensure that lighting, power and furniture allow full use of the space from the moment you wake up right through to turning the lights down after dinner with friends and family. 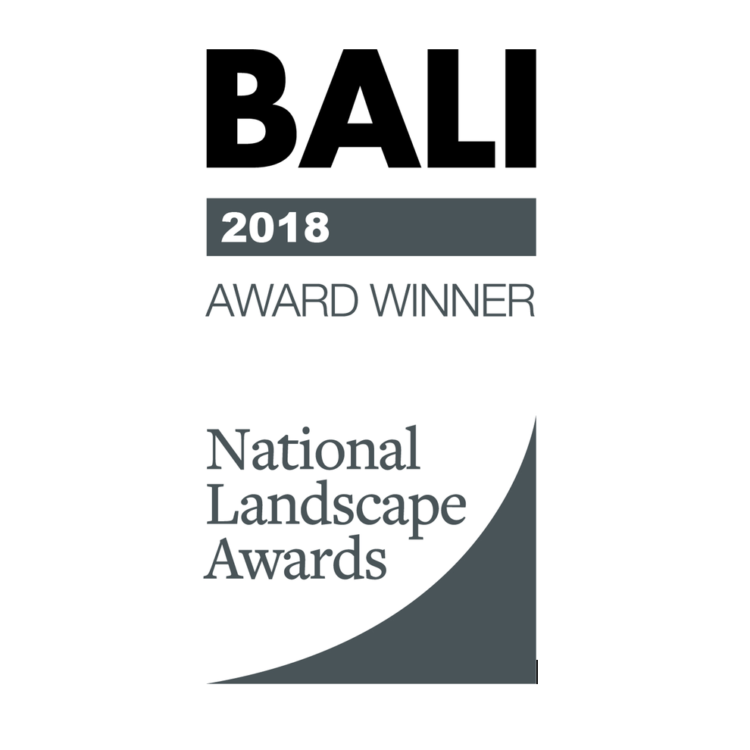 We work closely with architects and interior designers as well as homeowners to design roof gardens that seamlessly flow with the interior and architecture of our client’s homes and businesses. 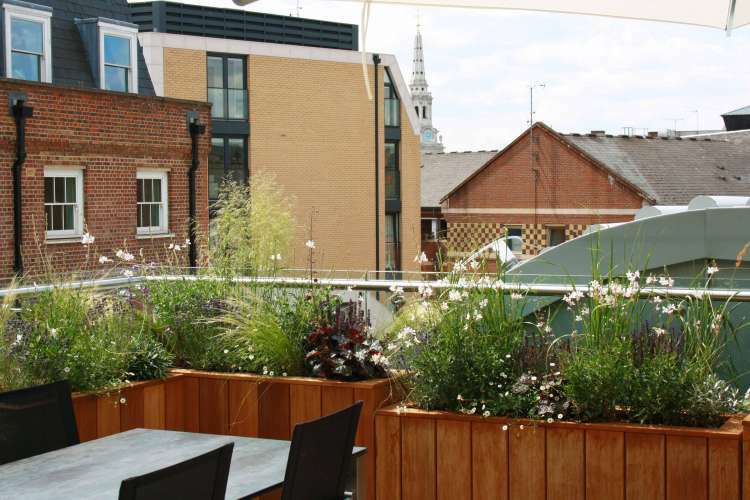 Constructing a roof terrace or garden is a far more complex process than traditional ground level landscaping and our team have experience in using specialised products to overcome some of the limitations of creating roof gardens as well as experience of organising logistics of deliveries and access in difficult to access areas. 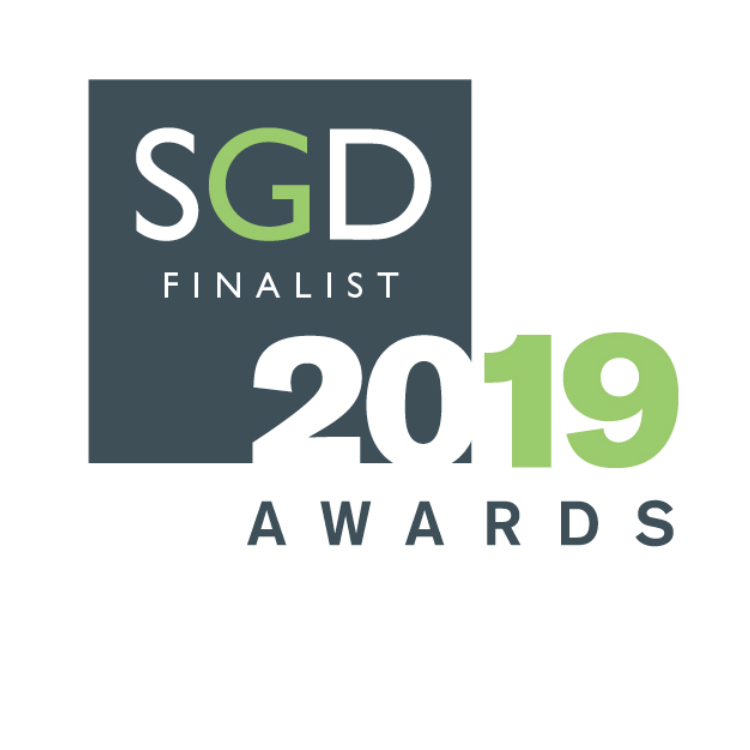 Recent garden roof garden design and installation projects in our portfolio have won or are 2019 finalists for the landscape and garden design industries top awards in Roof Garden category.